During the holidays, we tend to reach for the most flattering silhouettes, the better to hide the consequences of all the feasts, cocktail parties, and merrymaking we’ve enjoyed throughout the season. One of the easiest ways to fake a slimmer figure? 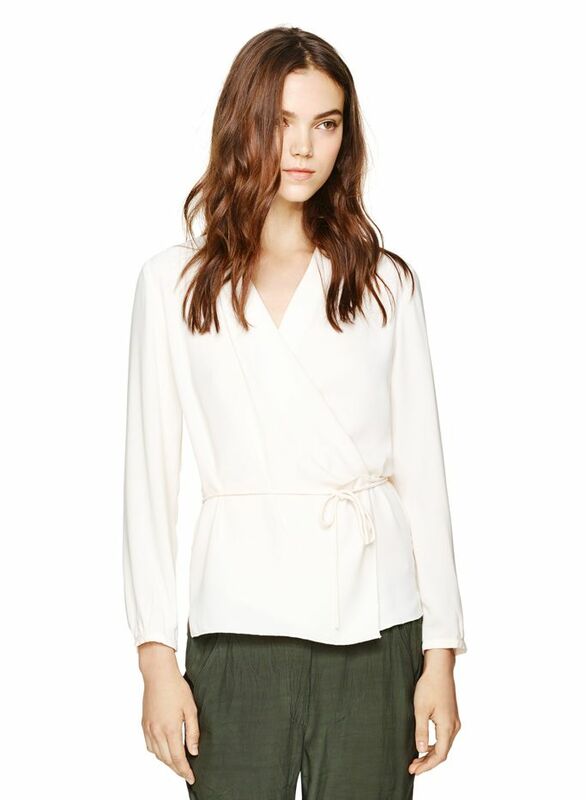 Invest in a top that flatters your waistline: the wrap top. Thanks to its wrap-style design, the top instantly slims your mid-section and provides the illusion of a flatter stomach. If you’re looking to really accentuate your waist, we suggest opting for one with a plunging neckline that ties at the side for the ultimate slimming effect. Do you have a secret slenderizing style trick? Tell us about it in the comments below!